Did Adele Have Hypnosis for Stage Fright? When singing star Adele heard her Bond theme song "Skyfall" was nominated for Best Song at the Oscars in 2013 she was over the moon but also terrified when invited to perform it live at the ceremony. Panic and insomnia set in. Why would that be when she has performed live so many times? It might have something to do with the fact that she heard her own idol Barbra Streisand would also be performing or just that she knew she would be performing in front of millions worldwide. Apparently, Adele's stage fright was so bad that at last year's Grammy Awards she was heard to vomit in the toilets before appearing on stage. The Sun Showbiz Editor wrote: “The star has been having the treatment in LA in a bid to conquer her anxiety over her upcoming Oscars performance”. Apparently she has a history of being extremely nervous and refuses to play in large venues and stadiums. A friend recommended she visit a hypnotherapist to calm her nerves and overcome the stage fright. Under hypnosis events and situations do not seem so scary so we can face whatever it is that we are afraid of whether that be fear of heights, flying, spiders, public speaking or in Adele's case - singing live in front of millions. Through a process of detaching from the reality we can desensitize to whatever is making our heart beat too fast and reprogram our mind to see it in an non-scary way, even enjoy the experience. I even overcame my life-long phobia of spiders through self-hypnosis. Once our mind is re-programmed at the deep unconscious level where all permanent change must take place, life will never be the same. An opera singer once approached me for help with her stage fright. Her contemporaries were coping with beta-blockers are prescribed to cope with the physiological symptoms of the "fight or flight" response (pounding heart, cold/clammy hands, increased respiration, sweating, etc.) The symptoms are significantly reduced, thus enabling anxious individuals to concentrate on the task at hand. However, Wikipedia (1) quotes the following adverse drug reactions (ADRs) associated with the use of beta blockers include: nausea, diarrhoea, bronchospasm, dyspnea, cold extremities, exacerbation of Raynaud's Syndrome, bradycardia, hypotension, heart failure, heart block, fatigue, dizziness, alopecia (hair loss), abnormal vision, hallucinations, insomnia,nightmares, sexual or erectile dysfunction and/or alteration of glucose and lipid metabolism. They must also not be prescribed if the patient suffers from asthma or takes cocaine. So my very sensible opera singer preferred to become my client and learn how to overcome her stage fright with natural, relaxing hypnosis. 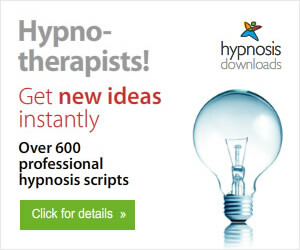 I offer Skype hypnosis for anyone who wishes to overcome stage fright or any fear, phobia or anxiety state. 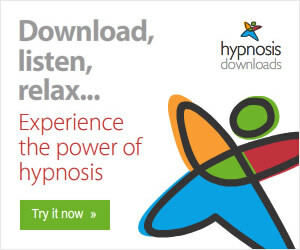 Antonia Harrison is the English Skype Hypnotist who helps client to stop smoking, become slim & healthy with hypnosis gastric band and overcome fears, phobias, anxiety and stress-related problems.